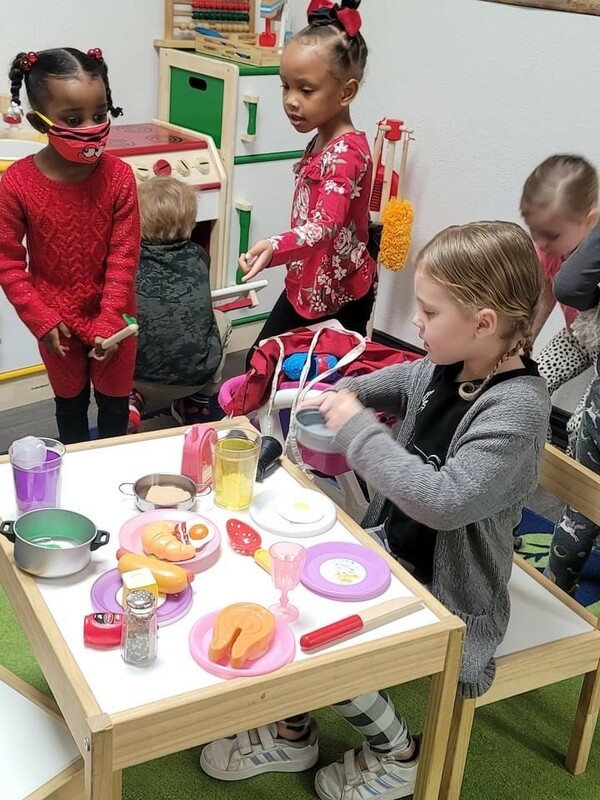 Edventure Kids Academy is a fully licensed daycare (License Number: 1630165) established to provide your child with the best possible start for their school life. We implement the Movin’ and More curriculum which emphasizes physical education for the preschool age child. We believe, as many educators do, that it is imperative to give children the fundamental foundation for their physical development. The academic portion of this curriculum consists of learning the alphabet, shapes, numbers one to ten and colors. Students must be age 3 to 5-years-old and potty trained. The state of Texas says all children must be 5 by September 1st of the year they enter kindergarten. However, just being the right age is not the only factor to consider. The Kindergarten Survival Handbook by Allana Elovson, PhD. gives several examples of things that your child should know before being enrolled in a kindergarten program. 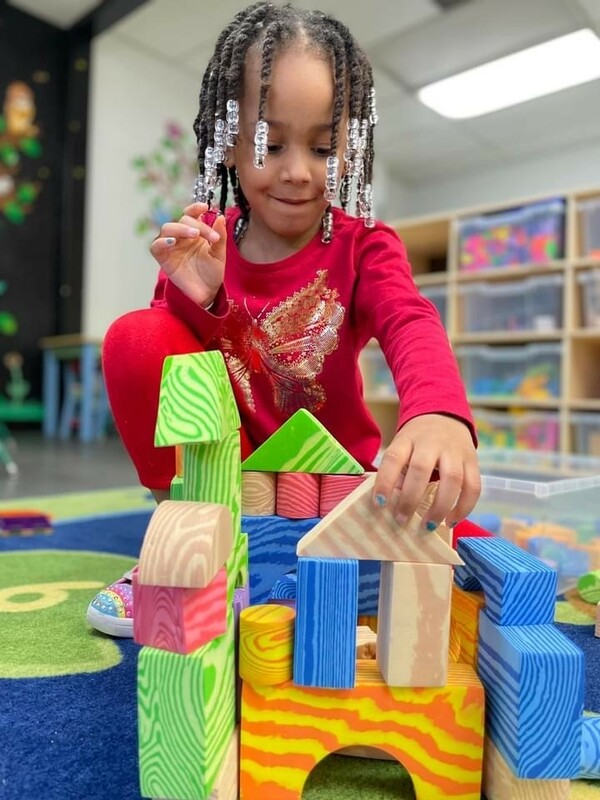 While some of these things may seem like they do not have much to do with school, they are each important stepping stones in a child’s growth and development. 9:00 a.m. – 9:15 a.m. Transition into school-rotated welcome activity (E.g. play-doh/farm animals/puzzles). 9:15 a.m. – 9:20 a.m. Pledge of allegiance. 9:20 a.m. – 9:40 a.m. Circle time – Letter/number of week, sight word, letter recognition, shapes, pledge, day/month, season etc. 9:40 a.m. – 10:00 a.m. Dramatic Play/Open Centers. 10:00 a.m. – 10:30 a.m. Kindergarten connection scholastic workbook. Fine motor skill practice-writing/early math etc. 10:30 a.m. – 10:50 a.m. Sensory/Arts & crafts activity. 10:50 a.m. – 11:30 a.m. Gym Time/Gross motor skills/Outdoor Adventures. 11:30 a.m. – 12:00 p.m. Lunch. 12:00 p.m. – 12:30 p.m. Manipulative Play. 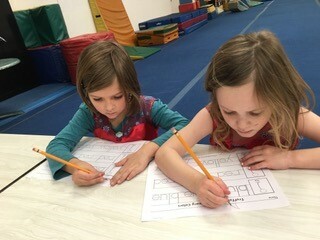 12:30 p.m. – 1:00 p.m. Kindergarten Connection letter/sound/recognition practice. 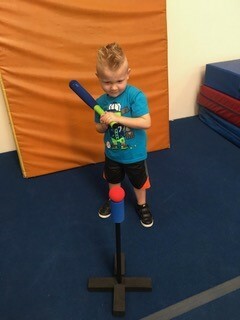 1:00 p.m. – 1:30 p.m. Open gym/free play/fine arts with music & rotated gross motor centers available. 1:30 p.m. – 2:00 p.m. Story time/show & tell & prepare to go home. * Water, hand washing & bathrooms breaks are offered throughout the day at regular intervals. Our goal is to provide every child with a quality early childhood experience. We strive to create a safe, nurturing and developmentally appropriate environment, which fosters individual needs. We view education as a partnership between parents and teachers. We believe it is essential to develop a good rapport with each child and parent based on open communication and mutual respect. We believe this is the foundation of a successful school experience. We believe in empowering children by offering them opportunities to make decisions and solve problems. It is our goal that children will possess confidence in their abilities and establish lasting relationships with teachers and peers. 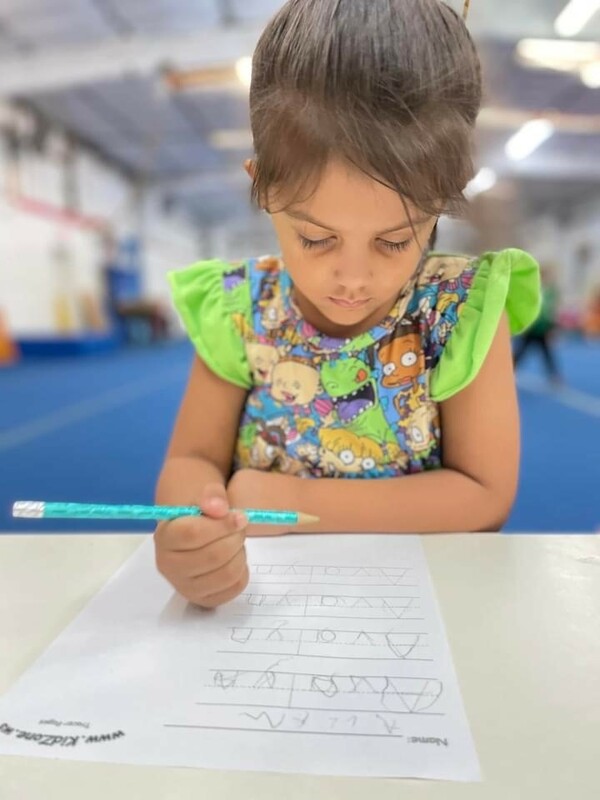 By offering an engaging curriculum, it is our aspiration that each child will develop a positive outlook towards school, a better appreciation of the world around them, and acquire a lifelong love for learning during their time spent with us. If you have any questions about our program please feel free to address them with the director, in our office or contact us here. Thank you in advance! 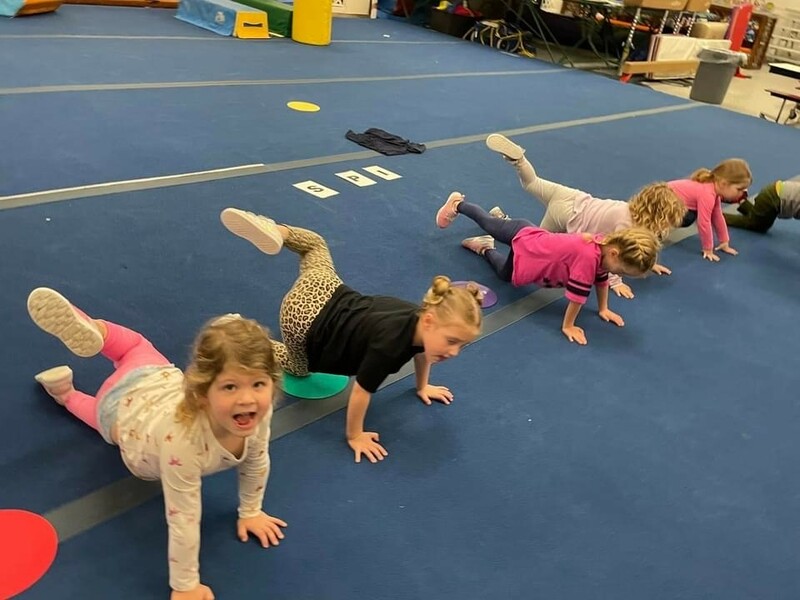 The Movin’ and More lesson plan emphasizes physical education and the importance of gross motor skill learning through gymnastics, games and other activities. 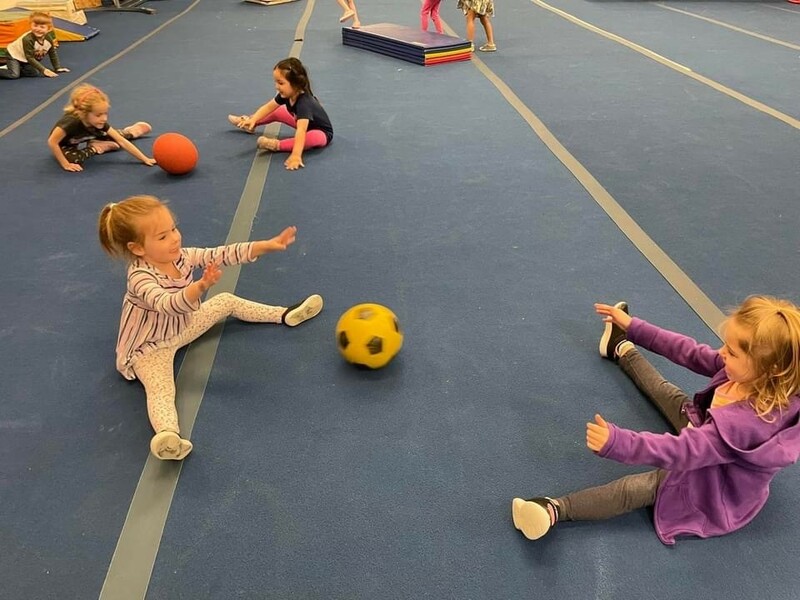 Because EKA is located in a gymnastic facility, there is room for students to explore and learn the importance of early childhood physical education. Learn primary colors in Spanish Begin using fine motor skills for cutting with scissors/gluing etc. Let us help get your child ready for kindergarten – these are the skills we focus on, and we’ll keep you updated at your annual teacher/parent conference. For advice on how to prepare your child for preschool, please see our FAQ answer here. We use this to assess each child in September, December and May. Once assessed, the assessment is used to help us build an individual curriculum plan for each student. Each student learns at his or her individual pace and we have built our curriculum to allow for this. Please download the EKA Kindergarten Readiness Evaluation for more details on curriculum. Art and sensory activities are a big part of our day. Messy Art is fun and provides a delightful way to learn about the world and it's physical properties. Most children love to get their hands into paint and other gooey materials that "tickle their senses." 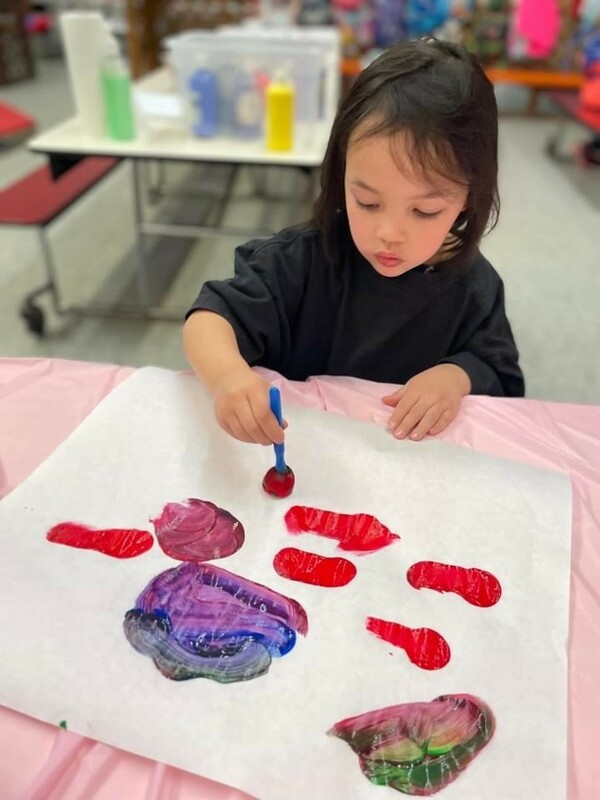 Messy art lets children discover the emotional pleasures of sensory and tactile play while they learn important lessons of cause and effect and the material properties of matter. What’s more, messy art develops important cognitive, social-emotional and multi-sensory skills. 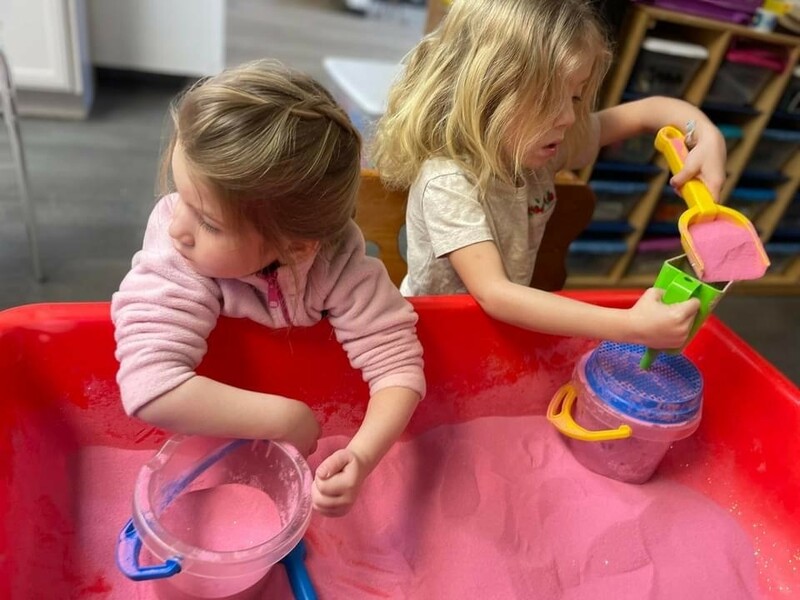 Self directed learning with fluid, sensory and tactile art materials is especially important in early childhood and continues to have benefits for older children as well. What exactly is "messy art" – is it simply finger-painting? A lot more, actually. 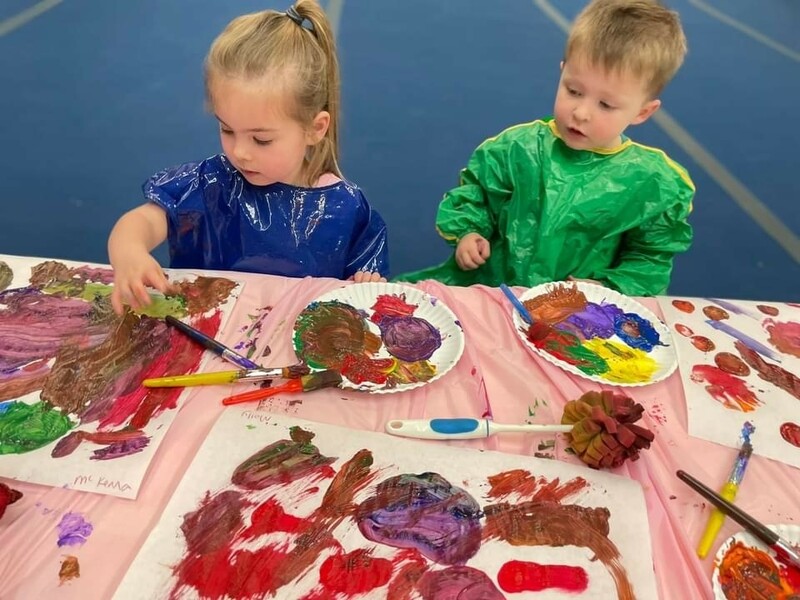 Messy Art is a friendly description for art experiences that involve paint and other fluid materials that change with ease as you manipulate them. These fluid "sensory art" experiences provide children with exciting physical contacts that motivate exploration. The fluid nature of paint provides for dynamic and rapidly changing explorations of color, shape and textures on paper. Children often feel very powerful when painting, because the cause and effect of their actions becomes apparent very quickly. Painting allows children to make decisions rapidly, and to operate more independently than they are usually accustomed to. Paints continuously move and blend, creating new combinations and secondary colors. With just a few swift brushstrokes, an entire painting can change and transform into a new creation. Painting is indeed, a powerful process! Messy Art activities are one of the best ways to promote early childhood learning. Preschool and Kindergarten provide an especially important opportunity for hands-on, self-directed learning. As children grow and advance through elementary school, art continues to provide opportunities for mastery and learning. Art teaches critical thinking, self-expression, problem solving, individuality, creativity and self-esteem. Messy Art experiences, those that rely on fluid and tactile art materials, provide children with great reward for their efforts. 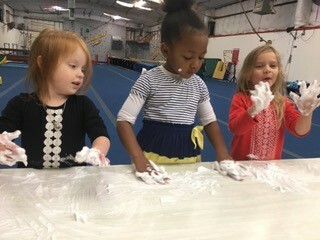 Not only do children often find it exciting to have the freedom to "get messy," but child development theory teaches us time and time again that tactile and sensory experiences are one of the best ways children learn. So designate an area of your room to messy art, cover tables and floors with newspaper if necessary, and find time to tickle your senses! 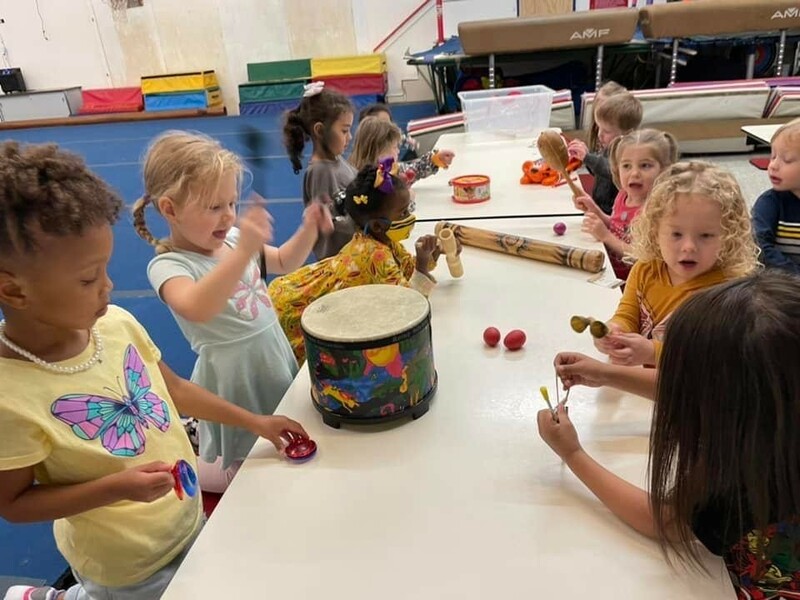 We use Music and Motion throughout our day; whether it's playing freeze dance, painting while listening to classical music or maybe using our musical instruments while listening to jazz. Reading to young children is so important. Whether it's reading to a classroom of little ones or cuddling with a child on your lap, reading a story is a wonderful experience. Their is a tremendous amount of rich children’s literature available, so it is very easy to find a story that will capture a young child’s interests. Reading to children helps develop reading skills, social/emotional development. inspire success, increase a child’s attention span, enhance visual discrimination skills, practice auditory processing, reinforce word recognition, examine social situations and behaviors and of course instill a love of books. We read at least once through the day and its a great way to connect the class and have open discussions while we read. The Movin' & More curriculum emphasizes physical education for the preschool age child. 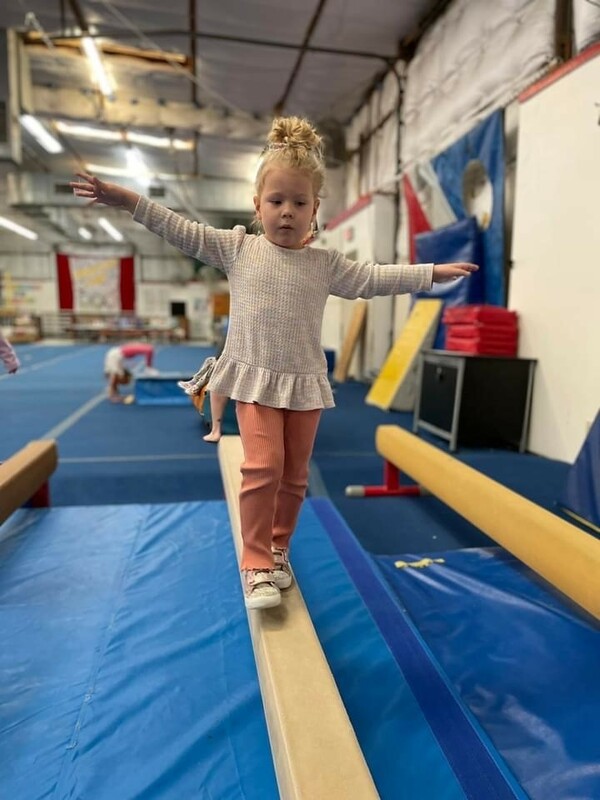 We believe as many educators do, that it is imperative to give children the fundamental basics for their physical development. 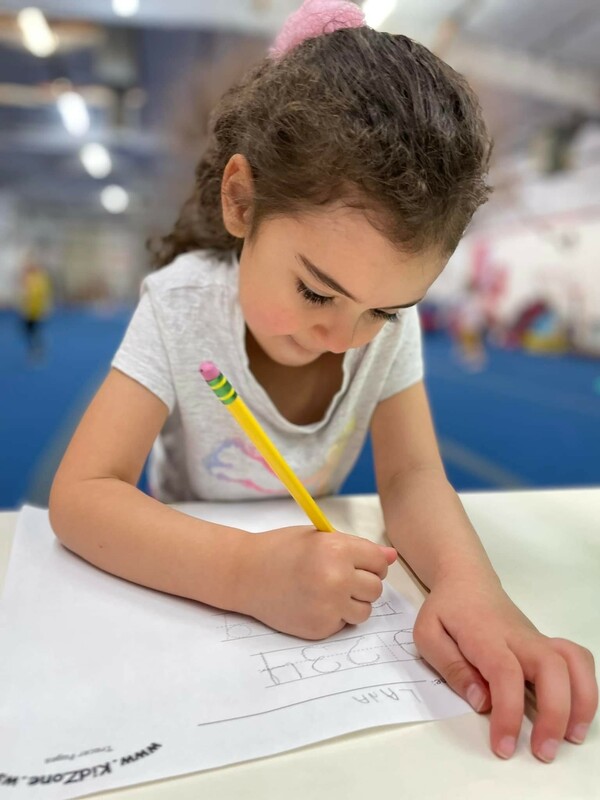 Your child will have a gymnastic class weekly focusing on basic tumbling skills and balance and coordination. Each month of gymnastics has a set theme and is taught by one of our qualified gymnastic instructors. 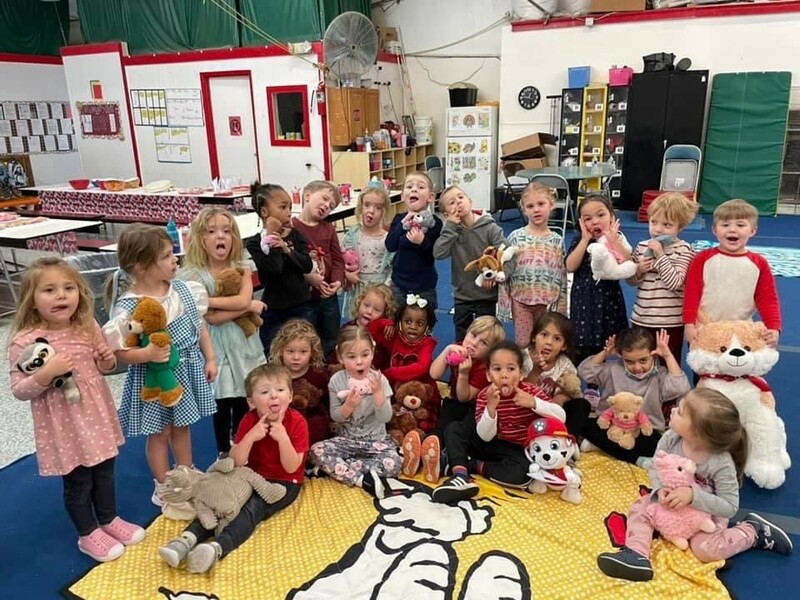 "If your children attend daycare or pre-school, try to choose a school with an early childhood education program that integrates movement and physical activity with cognitive learning and places an emphasis on learning and exploration through movement." SPARK - research-based program of San Diego State University Research Foundation evaluating programs that promote lifelong wellness.